There's more than gold at the end of this rainbow; there's improved division skills. 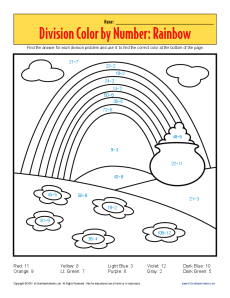 Your student much find the answer to basic division problems to find the right color to use. It combines fun and math!